Often foresters / supervisors will need to create prescription documents for contractors or internal staff to complete a field event. A simple event report in GeoMaster is often not customisable enough to create a format suitable as schedules in contract appendices or they don’t include all the standard company specific regulations and rules to be used for a particular operation. 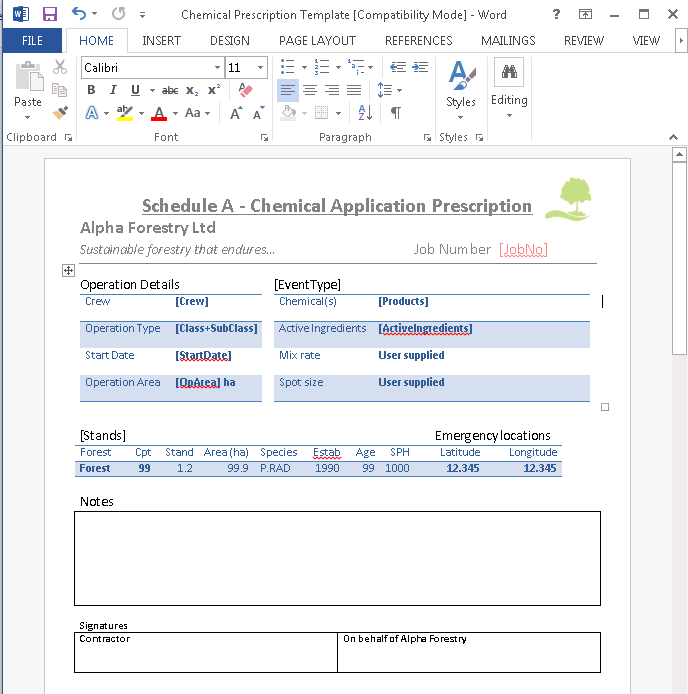 So we often find foresters creating a separate document similar to the event report but with all this extra detail and then printing a quick map and attaching it to this for the contractor / internal staff to carry out the event prescription. This duplicates work, resulting in the need to enter all the event detail in GeoMaster and then also in the contractor prescription document, but why? GeoMaster can simply create these documents for you! Start using them now and save time, and improve your planning and record keeping on a few simple clicks. GeoMaster provides means for generating operations prescriptions and other documents based on user-designed document templates created in Microsoft Word. So simply setup a word document template with all your standard policies and rules, logos, and even include room for contractors to sign as a contract schedule maybe (see figure 1). 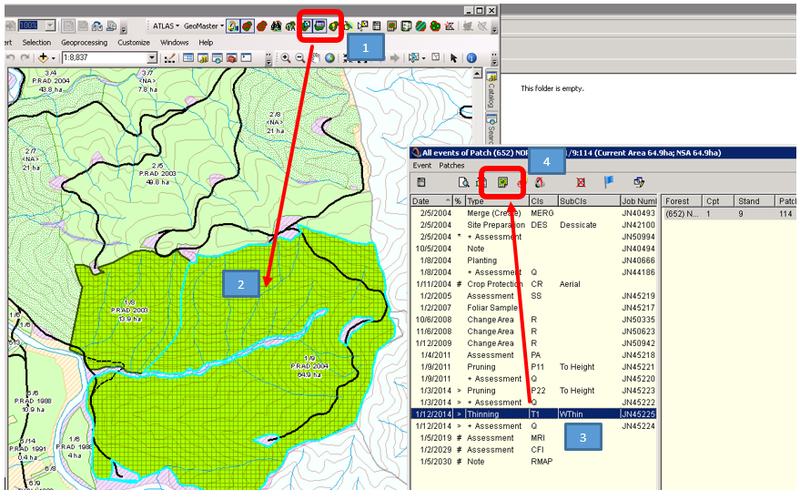 To enable this, the template documents must contain text place holders which GeoMaster identifies, and can substitute with data from the database. Place holders are just ordinary items of text embedded in square brackets “[ ]” which GeoMaster is programmed to recognise. Some place holders act as handles to identify where tables and maps are to be inserted, and these place holders are usually cleared once the table or map is populated. For place holders used to represent data, the style of the place holder (font, size etc.) is maintained, but the content is substituted with data. There are three classes of Word templates that GeoMaster currently supports: Stand Description, Harvest Description, and Operation Prescriptions (for a range of operations). So how easy is this once you have your templates setup? Select a Event Viewer tool in the GeoMaster toolbar. Select an upcoming event (you can edit it at this point if needed to update the prescription). Press the Map button in the events toolbar. 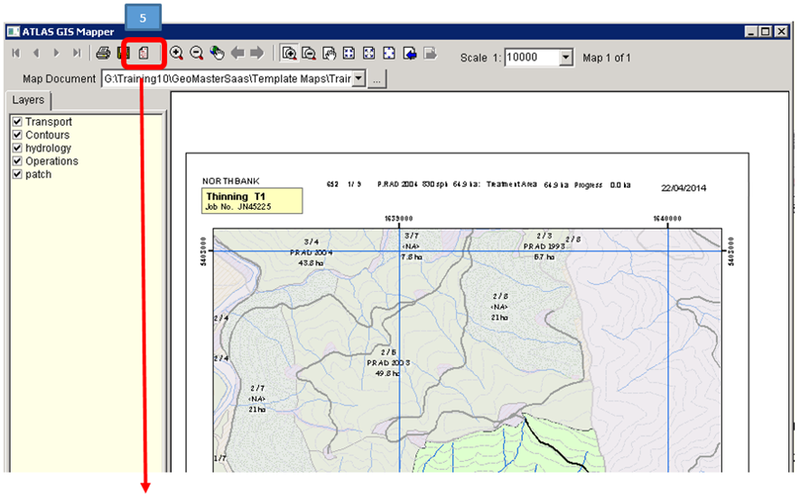 Press the export to document button in the GIS Mapper toolbar. A WORD document will be opened, with all your event detail from GeoMaster, even a map will be included in WORD. Done. PS… Need to prepare all the thinning events coming up over next 3 months – just multiple select them in GeoMaster prior to Step 4. You will simply get a word document will all prescriptions for all events selected! That simple. 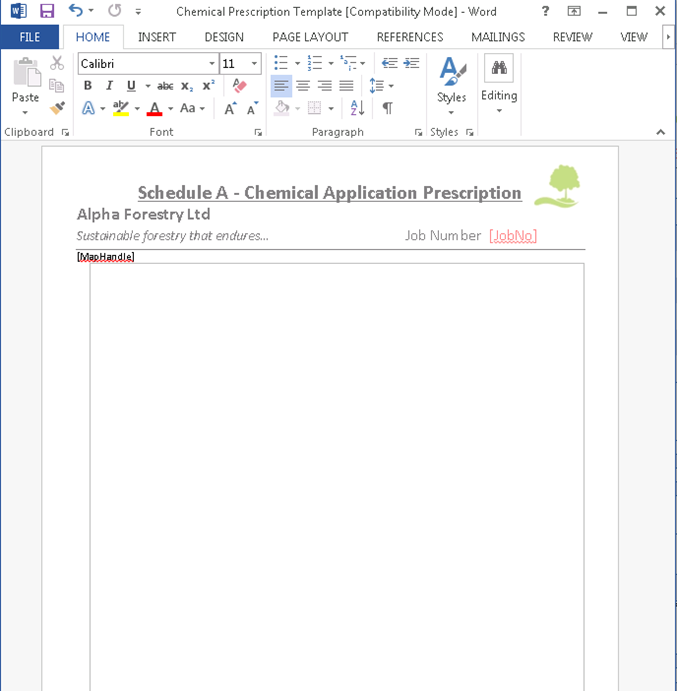 You can also use this to create harvest presciptions, or just a stand report in WORD with a map included. And remember you can select more than one stand or one event of the same kind at a time to speed things up.